SNAFU! : Are we seeing a budding Russo-Sino-US operation against N. Korea? Are we seeing a budding Russo-Sino-US operation against N. Korea? Russian marines have practiced landing operations at its border with North Korea, following Pyongyang’s controversial missile launch test this week, the military said. Russian naval infantry servicemen and the crews of Russia’s Pacific Fleet ships Admiral Nevelskoy and Peresvet, carried out a swift, amphibious charge on a beachhead in the Primorye region, Russia’s only one to border North Korea. The cargo and staff boarded Admiral Nevelskoy at Desantnaya Bay and simulated the landing at the Klerk training range, both of which are in Primorye, Pacific Fleet spokesman Nikolay Voskresenskiy told state-run news agency RIA Novosti. Peresvet made its pickup elsewhere but also arrived in the area near Klerk. This is pure speculation on my part so take it for what it's worth. Do you remember talk earlier this year of the Chinese moving forces to the border of N. Korea? We've all talked about the possibility of the Chinese cooperating with the US and even batted around the idea that we could see joint ground operations to secure nukes (the CJCS did say that the only way to be sure would involve ground ops). 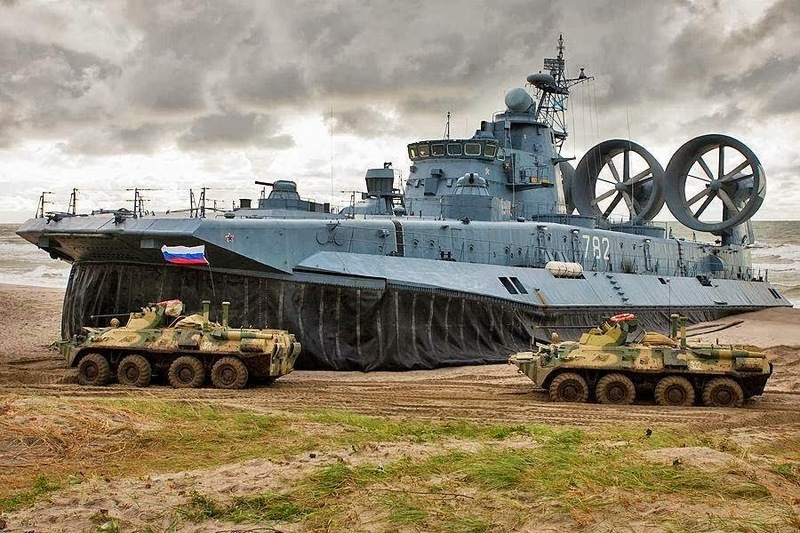 The war prep that the US, Japan and S. Korea has been involved in is obvious even to a blind man and now we get news that Russian Marines are conducting landing exercises near N. Korea? Is it beyond possible that we could see a Russo-Sino-US ground operation to secure the nukes in N. Korea when the balloon goes up? Yeah I know Haley is making noise in the UN about how the Chinese need to step up but I view her as only posturing for higher office in the future and I don't think she's in step with the National Security establishment of the Trump Admin. Because with the exception of bluster from Trump everyone else is low key, state constantly that negotiations are ongoing and meetings between Chinese and US officials are ongoing. The other "clue" that I have is with the exception of the news media and Democrats (and only with regard to the past election), the anti-Russian hawks in the Republican party have quieted down tremendously. Like I said, this is pure speculation but I wonder.